We have a bit of a tendency to poo poo bouldering around here. Many of our guides boulder regularly, but few look at it as a major form of climbing. A large percentage of the climbing population does not share this view. 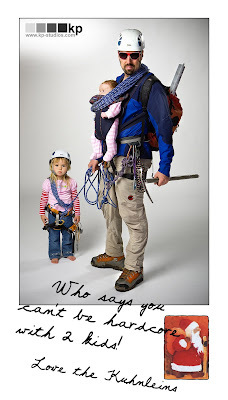 Indeed, there are many climbers out there who only own a pair of rock shoes, a chalk bag and a bouldering pad. Today, we are going to celebrate and art and beauty of bouldering. Extremely short climbs, extremely hard moves, no rope, no gear, and no fear! That's what it's all about! First, we have a bunch of climbers sponsored by DMM in a video where they show off absolutely perfect bouldering technique. And in this second selection, we have a group of climbers that don't look quite as smooth. This little gang of non-professionals boulders in the dark forests under the Stawamus Chief in Squamish. It's fun to see people work routes occasionally too! There are two kinds of climbers in the world. First, there are the kind that are completely bewildered by a guidebook description. You'll see them wide-eyed and stumbling around at the crags, or even in the mountains looking for a route. Once they're on the route, they often have no idea which way to go. They simply have to follow their noses and their noses are not very good. Second, there are the kind of climbers that glance at the guidebook and then walk straight to the route. Once they're on the route, they might glance at the route description occasionally, but they always seem to know where they are going. Certainly, there are climbers who have more experience and better mountain sense. Those climbers barely need a guidebook as it is. But this article isn't about them. Instead, it's about the guidebooks that each kind of stereotypical climber might use. In other words, "the good guidebooks" and the "bad guidebooks." What is a so-called "good guidebook"? Most would consider a good guidebook to be one that is very clear. There are photos of everything. There are route topos. Pitch lengths are described. Bivi sites are detailed. And there is excellent approach and descent beta. In other words, nothing is left to the imagination. Then what is a "bad guidebook"? This was a phenomenal "secret" route with almost no beta. A bad guidebook has little valuable information. There are few photos and many routes are described so briefly that no one would ever want to attempt them. Climbers often wander around looking for their climb or even their approach. Pitch lengths are incorrect and there is little to inspire one to climb a given route. There is actually an argument for "bad guidebooks." The argument goes something like this, if you have too much information, it kills the adventure. If you have too much information, the experience is somehow tarnished. If you have too much information, it's just not as fun. Coley Gentzel climbs an obscure route on Early Morning Spire in the Cascades. Note the Guide Tennies while wearing crampons. 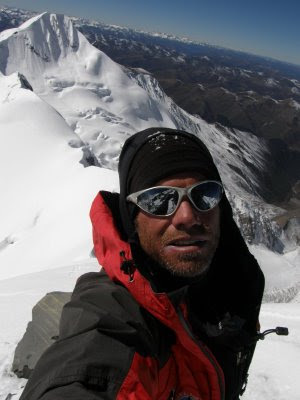 "It was an adventure...I'll put it that way," Coley said of the route. I have to admit that occasionally it is kind of fun to climb an obscure, poorly described route. Particularly one that is in the mountains. Such adventures tend to take one away from the crowds and sometimes even introduce a route that is a little bit of a secret, but quite cool. So there is something to be said for the so-called "bad guidebooks." 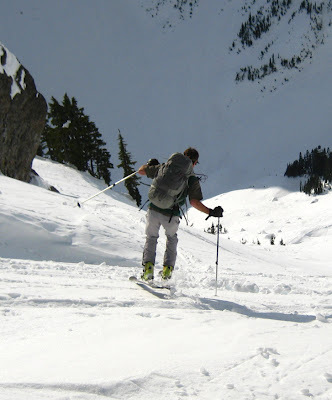 A few years ago, I guided one of the couloir routes on Whistler Peak. There were approximately two sentences in the guidebook on the route. Essentially there was no beta. We climbed the route and found it to be utterly spectacular. It was a moderate climb with a bit of steep snow and a bit of mixed terrain. In other words, I think that people should give certain guidebooks, (i.e. the Beckey books) a break. Historically, all that people had were limited descriptions. I think that every climber should try to climb at least one obscure, poorly described route a year. Every now and again, you'll find it to be worth it. Park rangers at Denali National Park and Preserve invite the public to join them in exploring the park on weekend hikes this winter. 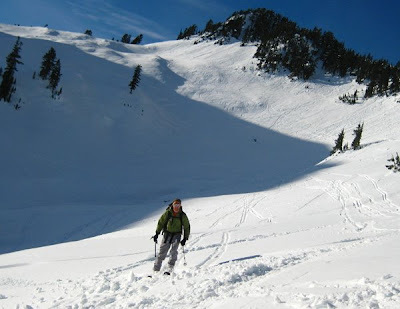 The hikes will be done on snowshoes when snow conditions are favorable, and will take place on Saturdays and Sundays, beginning on Saturday, January 31, 2009. Hikers will meet at 1:00 p.m. at the Murie Science and Learning Center (MSLC), located at Mile 1.3 on the Park Road just west of the traffic circle. The hikes will take place on trails in the park’s entrance area, providing opportunities to experience and learn about the winter environment of the park and interior Alaska. A limited number of snowshoes are available at the MSLC for use on the hike, and those interested in participating are encouraged to bring their own equipment. The programs will last for 2 to 3 hours. Participants are advised to dress warmly and bring lunch or snacks. The hikes will not take place if temperatures are colder than -10ºF. Besides the ranger-led weekend hikes, winter visitors have several recreation and learning opportunities in the entrance area of Denali National Park and Preserve. A new winter trails map is available at the MSLC showing ski and snowshoe routes of varying difficulties and lengths. Inside the MSLC, visitors can view exhibits on winter ecology, wildlife and park research, watch documentary videos about Denali, and warm up after a ski or hike. Visitors may plug in vehicles during the day at the MSLC parking lot. Denali National Park and Preserve collects an entrance fee year-round. The entrance fee of $10 per person or $20 per vehicle is good for seven days. The majority of the money collected remains in the park to be used for projects to improve visitor services and facilities. Interagency Federal Recreation Passes such as the Annual, Senior, and Access Pass, and the Denali Annual Pass are also valid for entry into the park and can be purchased at the MSLC. Additional information on winter activities is available at the Murie Science and Learning Center from 9:00 a.m. to 4:00 p.m. daily, by calling (907) 683-9532, or on the park website at www.nps.gov/dena. Near the park entrance, drivers may listen to visitor information on the radio at 1610 AM. Breaking News -- Clif Bars and Luna Bars Recalled! It's not just inside neon orange crackers or slathered on the other side of jelly. Products including Trader Joe's celery with peanut butter packs and nutrition bars from Clif Bar, NutriSystem and Luna are among the 125-plus products recalled in a salmonella outbreak. Cookie dough, candy and even dog treats have been affected as authorities attempt to track down what products contain the contaminated peanut butter and peanut paste. Climbers beware! Clif Bars and Luna Bars both made the list of potentially dangerous peanut products! 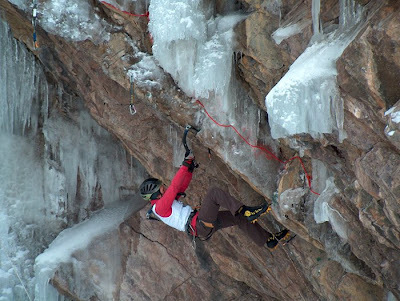 The 2009 Ouray Ice Festival came to a close on Sunday Jan 11. This is the biggest ice festival held in this country, and it is an amazing event. Officials say that 1000 climbers attended this year’s festival. People of all ages and from all corners of the world attended the fundraising event. There were many activities that filled the evening line up. Slideshows, auctions and dinners are all avenues for funds to be raised. All money raised goes to the operation and maintenance of the free Ouray Ice Park. The Petzl dance party is always the crazy crescendo of the event. It is the only time a year that the quiet mountain town of Ouray has a DJ dance party. “Beach party” was the theme this year, and people did not hold back on their costumes. A lot of flesh was exposed, and the party raged through the night. The award ceremony marked the end of the event. Josh Wharton won the men’s division as well as the overall title. In the women’s division, history was made. 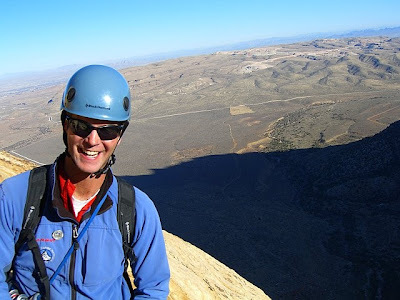 It is the first time that an Ouray local has taken first place. Dawn Glanc, an AAI Guide and a winter resident of Ouray, won the women’s division. The event was a success. Many climbers attended the clinics and demoed new gear. Climbers new to the sport and sponsored athletes all came together in one park to enjoy a unique event that celebrates the sport of ice climbing. Crucial money was raised so that this amazing park will be available in the future. I believe everyone is already looking forward to next year’s festival. The Olympic and Mt. Baker-Snoqualmie National Forests can start work this year repairing storm damaged roads, trails and facilities with special funds appropriated by Congress in September 2008. The Pacific Northwest Region approved 10.3 million dollars worth of projects last week, with those two forests obtaining 60 percent of the funds to pay for storm damage, some of it dating back to 2003. With this money the Forest Service will improve public access and benefit the environment. “Repairing roads and removing other roads will reduce the risk of future road failures, controls road-related sediment production, and restores riparian vegetation, all of which will improve water quality and fish habitat,” said Amy Lieb, soil and sater program manager for the Mt. Baker-Snoqualmie National Forest. “It is crucial to repair and maintain our roads to high quality standards so they provide healthy watersheds and clean water. 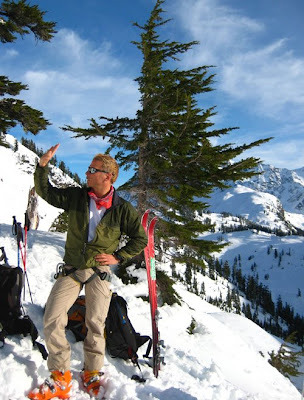 The Olympic National Forest has been hit hard over the past several years and these dollars are welcome as we make these much-needed improvements,” said Dale Hom, forest supervisor. Funds for that forest total $4,646,163, with $4,104,663 going to repair roads damaged during the 2007 and 2008 floods. The forest will remove 31 miles of road and treat nine miles of road to require minimal maintenance. This money will also upgrade eight culverts and repair one bridge. Engineers expect to finish road repairs in two to three years. --Quinault National Recreation Trail, repair, reroute and remove heavy blowdown. --Quinault Rain Forest Interpretive Trail, the most heavily used trail on the Olympic National Forest, will be resurfaced and rerouted, with signs, a handrail and bulletin board repaired. --Bogachiel Rain Forest Trail, remove blowdown trees, resurface the trail and repair water crossings. The Olympic National Forest’s $268,000 facilities funding will fix roofs on seven administrative buildings in the Quinault area, repair the Hoodsport workcenter and restore the Hamma Hamma, Willaby and Klahowya campgrounds. The forest plans to finish the trails and facilities projects by 2010. The Mt. Baker-Snoqualmie National Forest funding totals $2,711,396. “Our focus will be on sustainable fixes. We are very pleased to have received the funding to start the repair work,” said Forest Supervisor Rob Iwamoto. He added that these repairs are important to ensure public safety. The $2,057,996 for roads will rebuild three bridges; repair one road and remove nine miles of road no longer needed for management or public access purposes, and should be finished by the end of this year. 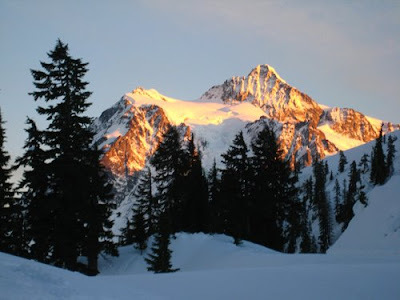 Some of these projects will restore road access to Glacier Peak Wilderness trailheads inaccessible for nearly six years. --Suiattle River Trail, repair washed out tread, remove windfall and heavy brush. --Pacific Crest National Scenic Trail, do maintenance work between Milk Creek and Vista Creek. 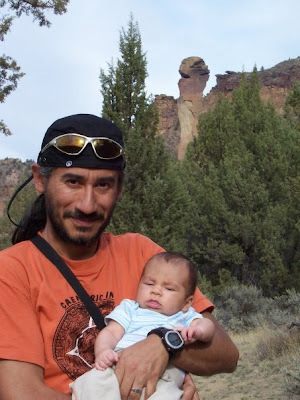 --North Fork Sauk Trail, repair puncheon bridges and replace a footlog. --Baker Lake Trail, move washed-out sections of trail. Repair Blum and Hidden Creek bridges. --West Cady Ridge/Pass Creek Trails, repair drainage structures. --Whitechuck Bench Trail, complete planning to relocate washed out sections of trail. Remove brush and remove windfall trees from two miles of trail. --Iron Goat Trail, replace puncheon bridge near Wellington. This summer I saw a family climbing on an American Death Triangle in Leavenworth. They were blissfully unaware of the danger of such a set-up and appeared to be even more unaware of pre-equlaized anchors. It's incredibly important to avoid the American Death Triangle. The term "death" isn't in there for nothing. Recent events in the Pacific Northwest revived the debate about who should pay for rescues. 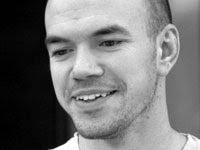 Many non-climbers feel that climbing related rescues should be paid for by those that are rescued. However, many of these same individuals do not feel that hiking related, hunting related, or boating related rescues should be paid for by the individuals that are rescued. Of course, every year there are a lot more yachters and wayward Boy Scouts that are rescued than climbers. Mountain rescue in the United States is generally managed by the Sheriff's department or the Park Service, depending on the location. The actual rescue though is usually done by mountain rescue volunteers or the military. Some cities maintain full-time Search and Rescue police officers. Places like Las Vegas and Los Angeles County send out their Search and Rescue officers nearly every day to deal with everything from boaters to ATV riders to people who took a wrong turn during a flood. Climbers make up a very small percentage of their rescue costs... But tax dollars certainly do support these operations. 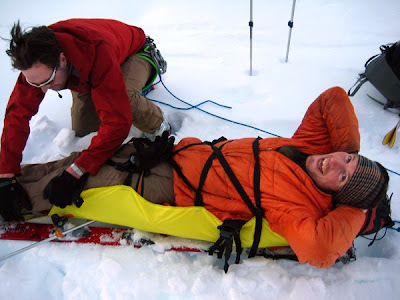 Mountain rescue volunteers work for the satisfaction of providing assistance to those in need. They do not cost the government or the tax payers anything. 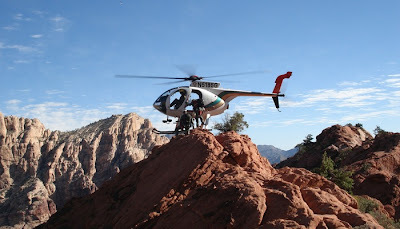 The military operations that are used in rescues often employ individuals who are rescue specialists and would be training to do rescues anyway. As a result, the funds that go into these rescues are not as exhorbinant as many people might believe. A New Hampshire law enacted this year aims to make people think twice before heading into the woods unprepared or under the influence. The state Department of Fish and Game currently fines lost hikers who recklessly venture into the woods to pay for the cost of the rescue, but now the department will have the power to revoke the driver's licenses of those who don't pay. Hikers can also lose licenses with the state Health and Human Services Department, and hunting and fishing licenses. The law also gives the state more power over who they decide to fine. Previously, the state had to prove someone acted recklessly before charging a hiker for repayment for a rescue. This meant the state had to show the hiker or hikers were aware going into the woods posed a substantial risk but they did it anyway. Now the state only has to prove the person was negligent. While many rescues are of those who were negligent, there are a lot of rescues that take place where an individual made an honest mistake. The downside to laws such as this is that mountain activities have the look and feel of danger, even when they aren't terribly dangerous. Other wilderness users -- whether they do something that is negligent or not -- may not look like they are putting themselves in peril. 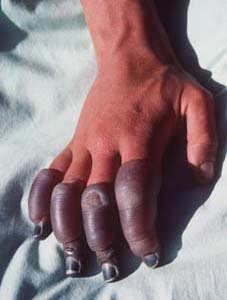 The result is that climbers will likely bear the brunt of such laws. Indeed, who will decide if a given action is negligent or not? 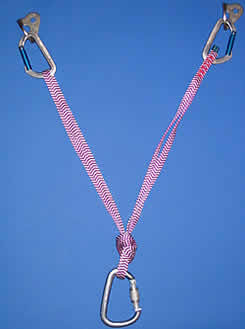 An experienced climber might try a hard route in a light-and-fast manner. Somewhere high on the route a hold breaks and he shatters his ankle. Were this brought to court after a rescue, that climber...even though he did everything right...might be charged for negligence. Why? It's a hard route and he didn't have a lot of equipment. 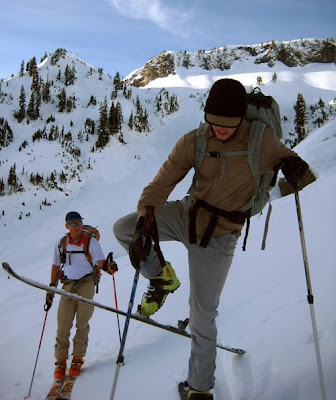 If a climber that is carrying seventy pounds of food and fuel up a glaciated peak decides to glissade with his crampons on and breaks an ankle, he might be seen as playing it safe and the idea of negligence might never come up. This is despite the fact that he was using an innapropriate technique at an innappropriate time. Rescues take place in the mountains every day and climbers make up a very small percentage of those that are rescued. This issue always comes to a head when something bad happens to a climber, but it never comes up when something bad happens to another wilderness user. We are unfairly targetted by those that have little knowledge of what happens in the wilderness. Creating laws that require negligent people to pay for rescues is a step in the wrong direction. It is far too difficult for the courts to delve into the idea of what is negligent in this field and what is not. Our main concern is that any type of climbing activity -- regardless of the experience level and training of the participant -- may be seen as negligent. 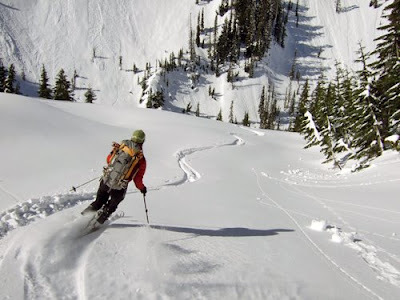 Join the American Alpine Institute for a free slideshow on Backcountry Skiing and Snowboard in the Pacific Northwest! This free show will feature photos and a discussion lead by AAI mountain and ski guides. 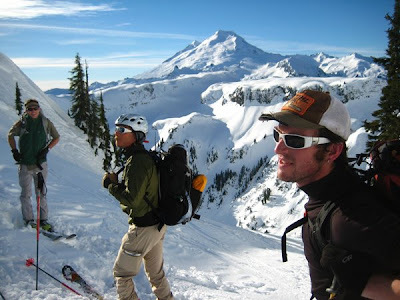 Presentations include skiing the Spearhead Traverse, the Coleman Pinnacle, and splitboarding on Washington Pass. The Mugs Stump Award is comprised of a series of grants that are presented annually to strong climbers that are in the process of planning alpine climbing objectives that exemplify fast, light and clean tactics. The awards, sponsored by Black Diamond Equipment, Climbing Magazine, Mountain Gear, Patagonia, PrimaLoft, and W.L. Gore, are a tribute to the late Mugs Stump, one of North America's most prolific and visionary climbers. Mugs died in a crevasse fall on Denali in 1992. The awards amounting to a total of more than $30,000 were presented at the Ouray Ice Festival on Saturday night. This amount will be broken down into grants that range between $1,500 to $9,500. 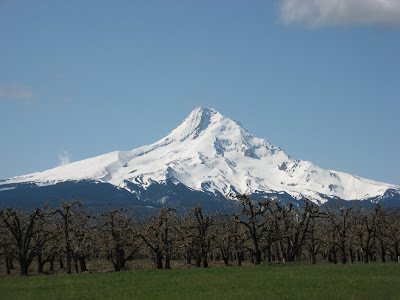 The public is invited to propose projects to improve Mt. Baker-Snoqualmie National Forest lands and the rural economies of local counties by April 1. The submitted projects will be considered for 2009 and 2010 project year funding. Funding is made available through Title II funds under the reauthorized Secure Rural Schools and Community Self-Determination Act (Public Law 110-343.) The due date has been extended from a previous announcement to ensure maximum participation. “We encourage project applications from other agencies, local governments, organizations, any individuals,” said Rob Iwamoto, Forest Supervisor. Projects must be on or benefit National Forest lands, such as enhancing forest ecosystems, restoring land health and water quality, or improving the maintenance of existing facilities within the national forest. Proposals vary from culvert replacement to help fish passage to youth-oriented outdoor recreation and conservation education work, mountain weather data collection, road, trail and watershed restoration and increased cooperative law enforcement patrols. Resource Advisory Committees that represent Whatcom and Skagit County, Snohomish County, and King and Pierce Counties review project proposals and recommend which should be funded to the Forest Supervisor. Fifty percent of the funds must be spent on roads or watershed restoration. Originally enacted by Congress in 2000, then re-enacted and modified in 2008, the law provides payments to local counties as compensation for the impact of reduced tax revenue from large federal land acreages within their boundaries. The law guarantees funding for schools and roads while providing monies that can be devoted to natural resource-related improvement projects that benefit lands within the national forest boundaries. Forms and information are available at http://www.fs.fed.us/r6/mbs/projects/rac/ or from the three district rangers who head the three committees. AAI guide Dawn Glanc won first place in the women's competition at the Ouray Ice Festival on January 10th. Dawn has competed in the festival competion three times. And clearly, the third time is a charm! To see the full results, click here. To see lots of cool pictures of the festival, click here. 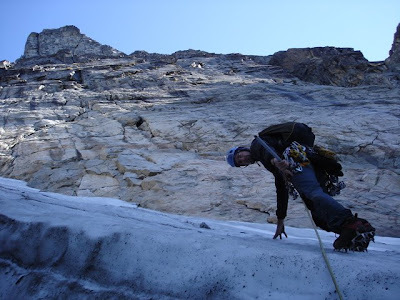 To sign up to go ice climbing with Dawn in Ouray, click here. EVERETT, WA—Forest Service crews will open Mount Index Road (Forest Service Road 6020) to local residents 6 p.m. this evening. A landslide into the South Fork Skykomish River undermined the road and closed access to a neighborhood of about 200 people Saturday night. The road is in eastern Snohomish County about a quarter of a mile west of Index, and connects the residents with Highway 2. The temporary access will be open 6 p.m. to 7 a.m. daily while crews work on the road. No commercial or heavy vehicles will be allowed. Workers are building a new roadway into the hillside adjacent to the old road, which Project Leader Jim Mitchell estimates will be done Friday. “The site can change instantly, but if all goes well, we expect to finish on time.” Mitchell is the roads manager for the Mt. Baker-Snoqualmie National Forest. --Skykomish Ranger District Station is closed due to flooding. --I-90, State Route 410 and state highways are closed blocking access to the south end of Mt. Baker-Snoqualmie National Forest. --Roads to all ski areas are closed. --Scenic Route 542 (Mt. Baker Highway) is closed at Doug Fir Camp Ground, about two miles east of the town of Glacier and snow blocks FS roads at and above Glacier. 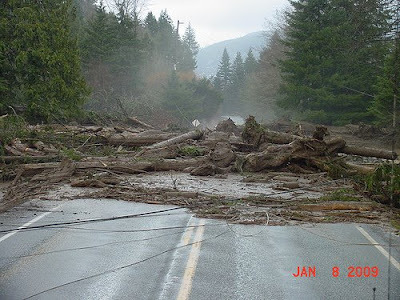 --Scenic Route 20 leading to Baker Lake is closed east of Sedro-Woolley and Baker Lake County Road is closed. State and county roads leading to Baker Lake area have been closed due to landslides, water and debris. Forest Service roads around the lake remain under snow. 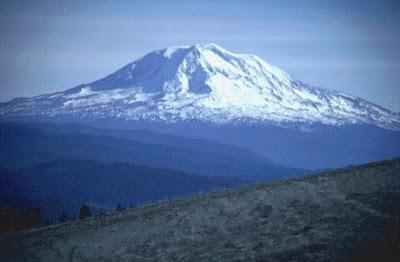 --Scenic Route 542 leading to the Mt Baker ski area is closed two miles east of Glacier due to avalanches. --Scenic Route 9 is closed from Wickersham to the intersection of Scenic Route 542 and 9. SR 530 is closed east of Arlington and north of Darrington and all of the surrounding forest service roads remain under snow and inaccessible. --Forest Service Road 30 in the Soleduck Valley and Forest Service Road 2160, mile post 1.9, in the Matheny Creek area are washed out. --The bridge at 2160 milepost 1.9 north of Quinault is washed out. --Salmon La Sac Road is closed at the town of Ronald. This road accesses a heavily used segment of the forest. --Deer Creek Road in the Liberty area is closed. --Icicle Creek Road is closed at the Snow Lakes Trailhead due to avalanche danger and flooding. --Butcher Creek Road #6910 on State Highway 2 just north of Coles Corner is closed. --State Highway 2 through Tumwater Canyon is closed from Coles Corner junction to Leavenworth due to avalanches and slides across the road. --Crews currently are repairing Forest Road 90 on the south side of Mount St Helens at mile post 0.8 which was closed by a debris slide. The road provides access to the community of Northwoods and rural residences. --Cowlitz Valley Ranger Station at Randle along US Highway 12 is closed due to rising waters from the Cowlitz River, and highway closures. The last couple days have been epic at our main office in Bellingham. It has been raining really hard non-stop and much of the city is underwater. This morning, we realized that we too were partly underwater. Our basement is drenched with nearly a foot of flood water covering the floor. Program coordinator and guide, Coley Gentzel checks out the flood. The rest of Whatcom County is not doing much better. Over three inches of rain fell in a six hour period yesterday. 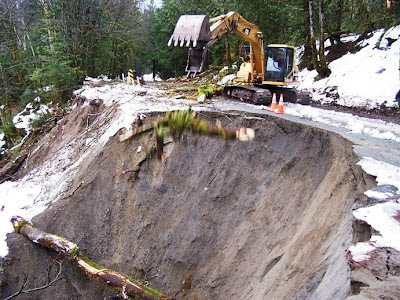 A mudslide washed across the Mount Baker Highway, trapping people on either side of the slide with no way to get around it. And obviously our local ski hill, the Mount Baker Ski Area, is not operating today. The passes across the Cascades are currently closed. Stevens, Snoqualmie and White Pass are alll currently impassable. Road crews are working to manage avalanches and mudslides throughout the state, but specifically in the passes. To see more pictures of the flooding in Bellingham, check out the Bellingham Herald's gallery, here. It's like the Day After Tomorrow around here! At the Summit East ski area at Hyak on Snoqualmie Pass, a massive slide brought down a cascade of dirt, snow and trees that took out power lines and at least one chair lift and slammed debris into houses and cottages below. It wasn't immediately known whether anyone was missing in the slide or if there had been any injuries. 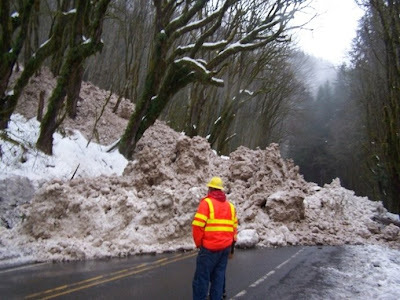 The landslide occurred just before noon, as state transportation workers were busy clearing snow and debris from the pass, which has been closed all day because of the high avalanche danger. "It happened right outside our front door," Don Whitehouse, a regional administrator with the DOT, said from inside the department's Hyak maintenance facility, on the east side of the summit. "It took out a chair lift, and one home may have been knocked off its foundation." He estimated the slide was at least 400 to 500 feet across. "There was snow, but it's mostly dirt that slid down the ski slope," Whitehouse said. "We're not in imminent danger here, but it does look like a few houses were involved." The roads through all three major passes — Snoqualmie, Stevens and White — were closed this morning due to avalanches and standing water on the road, according to the state Department of Transportation. The state said Snoqualmie Pass will remain closed through the day until conditions improve. Meagan McFadden, a DOT spokeswoman, said maintenance employees are being evacuated between mile posts 47 and 53 — from Denny Creek to about a mile west of the summit — as a safety precaution. "It's really unstable," she said of conditions at the pass, where heavy rain continues to fall. "Natural avalanches are occurring all over the pass," she said. With the rain, the soil is "becoming more saturated" and more prone to sliding. In related news, we only have five spots left on this weekend's avalanche courses. Check out what you can learn, here.